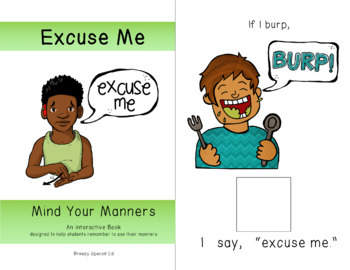 These interactive books about manners are great for teaching and practicing polite manners including please, thank you, excuse me, and sorry. 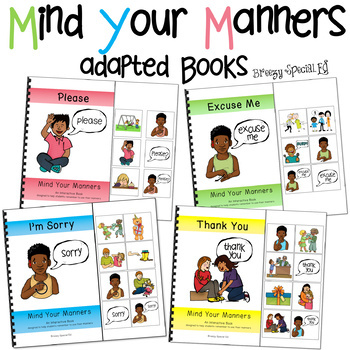 Included in this pack is everything you need to prep FIVE 6-8 page books on manners. 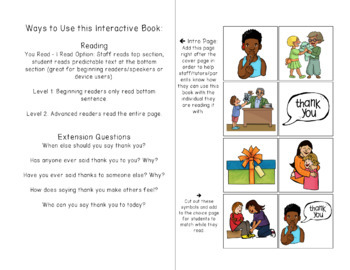 Each book reviews when to say each word/phrase, how to sign (ASL) the word/phrase, and why we use our manners. The review book at the end has students matching the correct phrase to various situations. These books are perfect for life skill special education classrooms of all ages or early childhood education. ☞Love adapted books? Check out these sentence starter adpated books here.